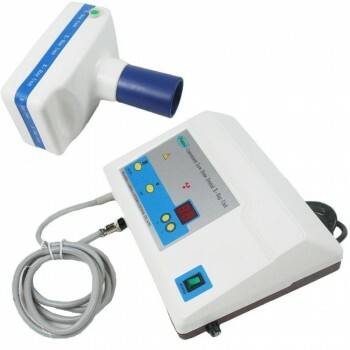 Buy Cheap Tianjie® BLX-9 Oral X-Ray Machine Low Rechargeable form Alandental.com|Dental Equipment for Sale! 8. 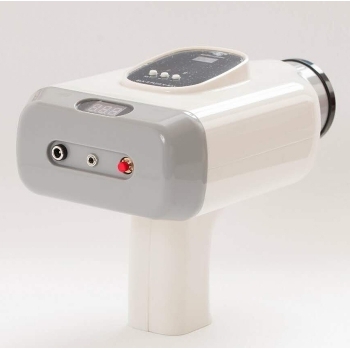 The tube head is equipped with excellent radiation-shield protection (except the radial mouth, and tests have shown that the radial index is zero. Safety is guaranteed. 1. Upon receiving, open the box and check the product for possible damage during shipping. 2. Make sure the fittings on the encasement list are packaged within the box. 4. After the Main Unit and ball head are perfectly fit together, plug in the international standard electrical source, grounding is strongly recommended. 5. Turn on the Power; the pilot lamp will be light up.During this time, the digital tube of the main unit will show the fore setting time. Now the equipment is in standby mode. 6. Setting the time (Skip to next step if unneeded) Use the "SET", "+", and" -" buttons to reset the time as follows: press SET, the pilot lamp above is illuminated, the machine is now in the time setting mode→then press "+" and" -" to set the time needed (time range is 0.5-9seconds); press set again when the time is adjusted the light lamp is off. The equipment is now in standby mode. 8. Keep the ball head plumb to the tooth projection position; Have the ball head, tooth, and tooth film steadily mutually plumb. 10. After exposure to the tube, release the start button again (available in three ways) in case of an emergency to stop shooting and return to standby status. (At this point there was no output ray, so the dental films can be used again). Repeat step 6 to reset the picturing time.To repeat the picturing process, please repeat steps 7 to 9. 11. Turn the power of the main unit off when the work is finished, press POWER, making sure the pilot lamp is off. Don't keep the main unit long in standby mode. 1. Make sure the angle of film, tooth, and ball head are properly aligned when taking a picture. Keep them steady until the last step of picturing; making sure that there is no change in any of their positions. 2. Remember to turn the power offwhen work is done. 3. Change the battery if the remote controller loses its functioning or if the remote's distance is shorted. 4. 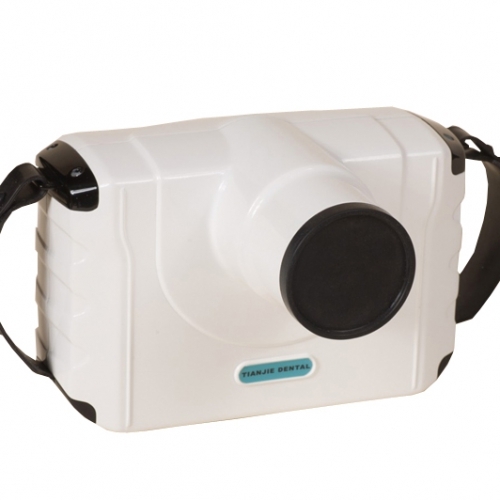 After turning the power on, wait one minute before taking pictures, this allows the ray to provide a steady output. 5. 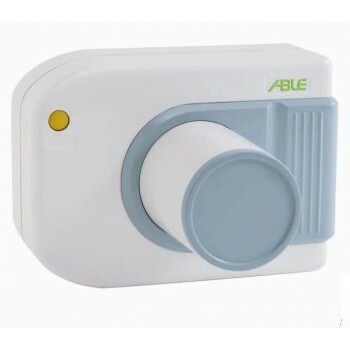 The equipment switches into protection mode automatically when the voltage is incorrect. If this occurs, it will not be able to carry out the normal work of filming. 6. 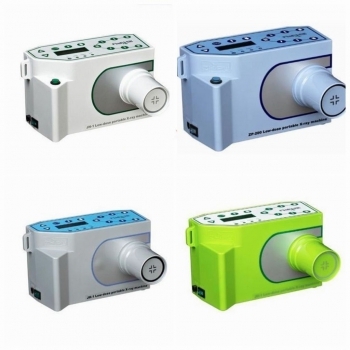 When taking pictures, the EXP button could stop the objection and then the machine goes back to the preparation mode. 7. Use high quality tooth film and developing liquid to make clear pictures. 8. Handle the ball head gently while in use, so as not to damage the delicate component. 9. We usually set the time between 3-8 seconds when taking pictures, but the actual time of ray output is 0.2-0.5 seconds. 10. If a situation occurs, preventing the machine from taking regular pictures, contact the seller to solve the problem instead of trying to service the product yourself. 11. Keep the tooth film and the liquid in a proper place and use them within the shelf-life period. 12. Development of films should be performed at temperatures ranging between 23-25 degrees Celsius to ensure the image quality. 13. Other requests accordance with the scope of the technical parameters. 14. Please read the manual carefully before using. 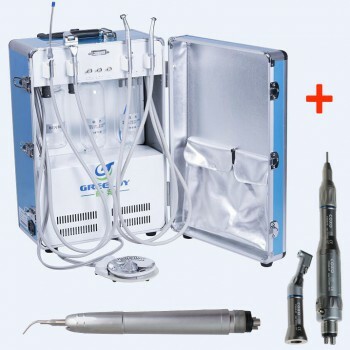 This x-ray machine is easy to use and make a good service for my dental practice.